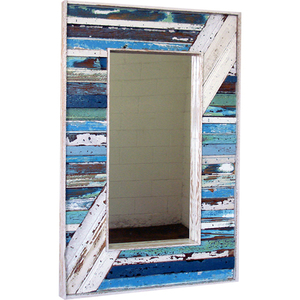 Diver Down Mirror is a true coastal mirror in rectangular shape. It's wonderful to throw accent lighting around the mirror's space to make spaces seem to go on forever. With the antique wood we use, the wooden mirror gives a coastal home that old world charm. 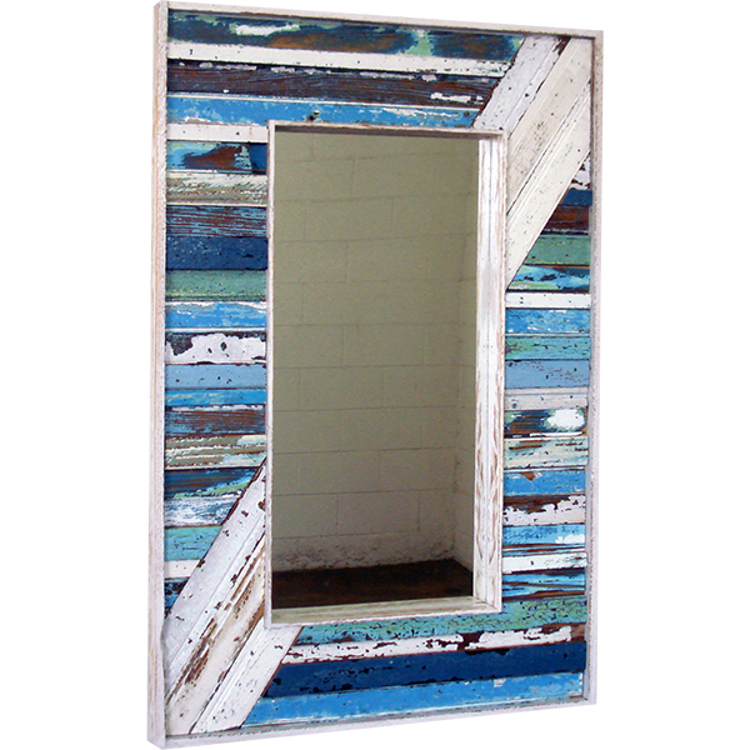 This a unique handmade nautical themed mirror with that distressed look decorated in the many lovely ocean colors. The large nautical mirror frame is covered with recycled strips of wood. The artist combines whimsical southern style and colorful creativity to create All-American, eco-friendly crafts. Their wall mounted mirrors, frames and decorations are made from reclaimed and salvaged materials to create a classic piece of nautical home decor with its own story. Their eco-friendly wood frames and other handcrafted coastal gifts are inspired by traditional southern folklore and crafted with signature warmth and personality. 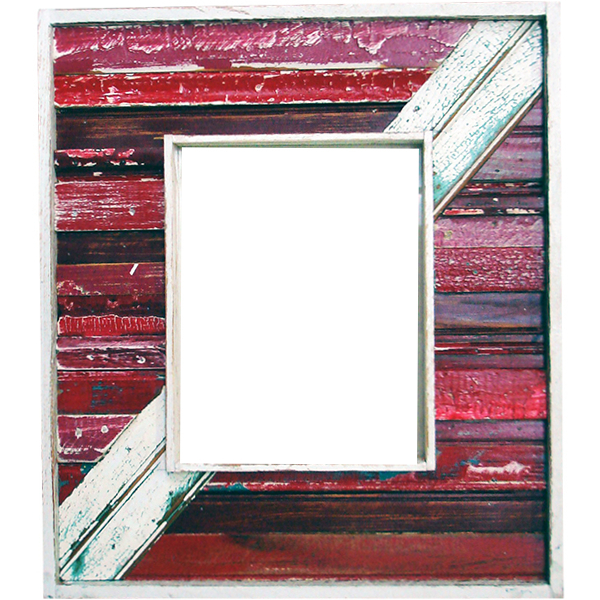 The Diver Down Mirror is made from reclaimed materials not only make a strong, eco-friendly statement, but also pose as the perfect additions to rustic, homegrown décor. They turn salvaged wood, metals from bygone eras into colorful works of wall art perfect for nautical, farm-style and antique contemporary lines. Each piece is unique and carefully crafted to retain its classic allure for years to come. Find new additions to your home or nautical gifts for friends and family within our inventory of distinctive furniture, frames, and more, or within our exclusive holiday collections.